Last Sunday, the Victorian Premiere of Australia unveiled a replica of the frieze of the Panathenaic Procession of the Parthenon to the external façade of the Greek Centre located at the corner of Lonsdale and Russel Street in the city of Melbourne. The Parthenon Marbles replica is to be ‘a symbol of Hellenism Worldwide,’ The Greek Orthodox Community of Melbourne and Victoria (GOCMV) said in their upcoming media to the event. The Greek Centre building is only itself a few years old, and what more fitting declaration of this achievement by the GOCMV and the wider community than to adorn its architectural presence with art from its homeland roots? The Greek News Network didn’t think so. They had a real problem with it, this week publishing an article titled ‘Greek Australians Place Parthenon Marbles Replica… Above a Burger Joint.’ The article, with no author name attached to it, didn’t have a problem with the replica itself, but with its placement, on the external façade of the building, just above the Greek franchise restaurant ‘Goody’s’. The author explained the history of how this is a replica of Greece’s most beloved treasures, stripped off the Parthenon and taken to England in the 1800s, and that we are disrespecting it. In order to unpack this argument, we have to consider what exactly is the GOCMV? To me, it is the hub of Greeks who migrated to Australia, and the generations who came after them. It is our cornerstone, our place we can go to and remember where we came from as we carry on our lives in a country controlled by Anglo-Australians. You only have to turn on your television at night to know what I am talking about. It is through the GOCMV and its events that we are comforted that our heritage is not forgotten and is still alive. 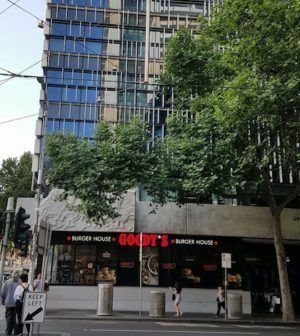 Having said that, Goody’s is not just another ‘burger joint’ for Greek-Australians. It is ‘the’ burger joint of our homeland Greece. And when it opened, there was so much excitement in the community because yes we have our souvlaki on Lonsdale Street but now we have our authentic Greece burger joint too. And we love it! The GOCMV worked hard to fund our building and make it happen. A lot of hard work and passion and thought goes into running programs and supporting the arts. Considering it was established in 1897, to have the building now complete and adorned with the Parthenon marbles, is something the community should really be thankful for and proud of. 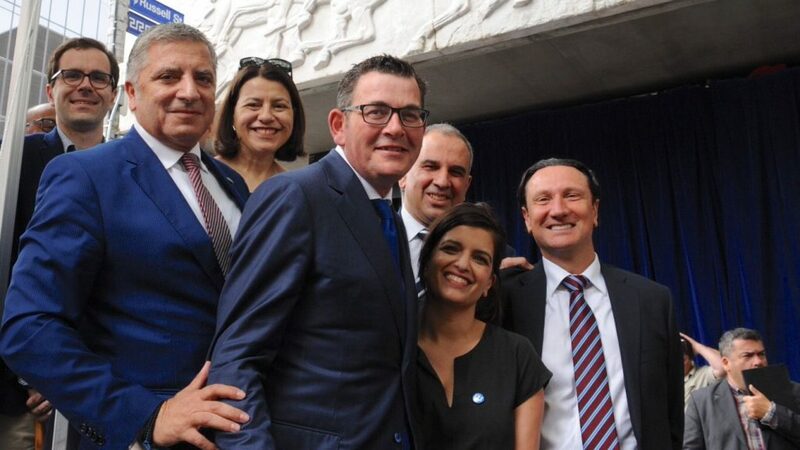 The Greek Centre is not a representation of Greece for me, it is that of being Greek-Australian, and the bringing together of my two identities into one place. While I think the GOCMV could do more to support local Greek-Australian art – for example by setting up arts grants in an industry where diversity is a major problem holding back the progression of Greek-Australian art in Australia – I think the replica was a good purchase for the centre. Furthermore, I think its placement alongside Goodies is an arty and fitting choice in presenting our identity to the city if Melbourne.